It’s time for some family fun! Does anyone in your home like to play cards, dominoes, or maybe board games such as Monopoly, Scrabble, Life, or Connect Four? Then we have an event just for you! 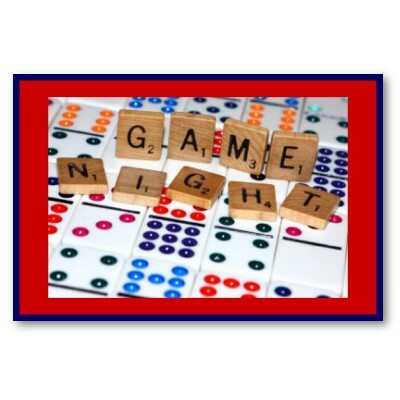 On Friday evening, January 24 at 6:30 p.m. at St, Matthew Church’s Great Room (216 Scribner Avenue, Norwalk), a Card and Game Night will take place, co-sponsored by Knights of Columbus Council 14360 and Catholic Daughters of the Americas, Court Saint Matthew. Gather your family and/or friends, bring whatever games you like to play, form a table, and have a relaxing evening. All parishioners and friends are welcome! Cost is only $5/person, and all funds raised will go toward K of C and Catholic Daughters’ charitable causes. If you have any questions, please call Bud Taylor at (203) 354-0208 or Syndi Buckley at (203) 838-7821. Hope to see you there!